After sending the closest pictures of the farther most planet in the solar system, NASA's New Horizons spacecraft seems to be in 'good shape' for the Pluto flyby. When will the flyby occur? The historic flyby will take place on Tuesday, 14 July.The closest flyby will be take place at 7:50 am on 14 July (11.50 GMT). 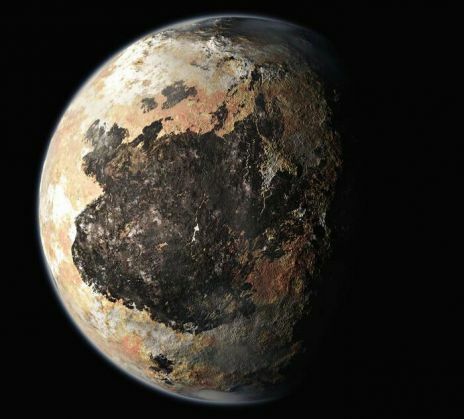 At this point, the spacecraft will pass within 9,977 kilometers of Pluto. After over a nine-year and three billion miles journey, the New Horizons spacecraft will fly past Pluto at 7:49 am EDT on Tuesday, 14 July, at 30,800 miles per hour (49,600 kilometers per hour). With this, New Horizons will become the first ever spacecraft to do a flyby of the dwarf planet. According to reports by BBC, in the wee hours of Monday, 13 July, New Horizons moved to within a million miles of the planet and is said to be closing in swiftly. What has the spacecraft done so far? Before heading for the closest flyby of the dwarf planet, the spacecraft sent back the best photos of the icy planet, and its largest moon, Charon. The spacecraft captured it last and the best image of the planet with four mysterious spots on the planet's surface. The spots are on that side of the planet which always faces the Charon. What will the spacecraft do during the flyby? During the flyby, the spacecraft will collect data about the planet's geology, surface composition, temperature and atmosphere. The data will be collected through a set of seven science instruments. The spacecraft will also gather data of Pluto's five moons. When was the mission launched? The unmanned mission, New Horizons, was launched in the year 2006 by NASA, has till now traveled more than 3 billion miles to reach planet Pluto.